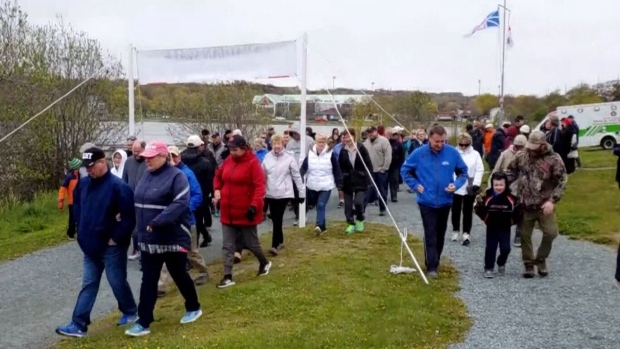 Halifax veterans and supporters will take to the Beechville Lakeside Timberlea Trail on Sunday, June 3, for the first Canadian Walk for Veterans. Seven other cities across Canada will be participating in the walk, in hopes to raise funds and awareness for the Equitas Society. The Equitas Society banded together to back a class action suit by disabled veterans, in response to low settlements under the new Veterans Charter. The walk was organized by one of the plaintiffs, Aaron Bedard. In Halifax, the walk is being organized by navy veteran Karen Brake. She says this is the first time she has been involved in something like this and is hoping to see a large crowd gather to support veterans and raise money for the society. Registration is $25 per person. Participants are asked to meet at the trail opening behind the Coca-Cola building in Lakeside, at 20 Lakeside Park Dr., for 9:30 a.m. The walk is five kilometres, but participants can do a shorter walk if they wish. The walk concludes at 1 p.m. and participants will be welcomed back to the starting area with a barbecue, face painting and live music. Kids are free and dogs on leashes are welcome. Participants are asked to register online at www.equitassociety.ca or at the meeting area before the walk begins and each registrant will receive a ballot to win two free flights anywhere in Canada, provided by Flair Airlines. There will be winners in each city across Canada, including Halifax, Victoria, Vancouver, Edmonton, Ottawa, Kingston, Fredericton and St. John’s. 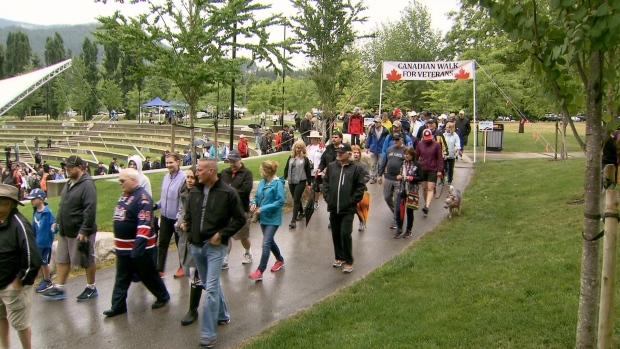 The walk organizers are hoping the walk will bring light to veterans’ issues as well as provide an opportunity to pay tribute to those who have served in Canada’s military. I joined Aaron Bedard in the Rotunda of the House of Commons today to help promote the Canadian Walk for Veterans happening in 7 cities across Canada this Sunday June 3, 2018. Have a look at the video how you can join in to support this event. Organize your own CANADIAN WALK FOR VETERANS anywhere in Canada on June.3 and submit a video to the CANADIAN WALK FOR VETERANS page on FB. We will set up a link shortly for you to register and you will get a coin in the mail. THE CANADIAN WALK FOR VETERANS IS ON!!! The first Canadian Walk for Veterans was held Sunday in seven cities across Canada. It's an event that brought veterans together, from the military to the RCMP.